1. Start raw 1 with 2 needles. String on the thread 4 seed beads , clasp, 5 seed beads and cross 2 neeedles in the last 5th seed bead. String pearl 8 mm on the first needle and string 7 seed beads on another needle, cross 2 needles in the last 7th seed bead. String 7 seed beads on the first needle and string pearl 8 mm on another needle, cross 2 needles in the 7th seed bead on the first needle. 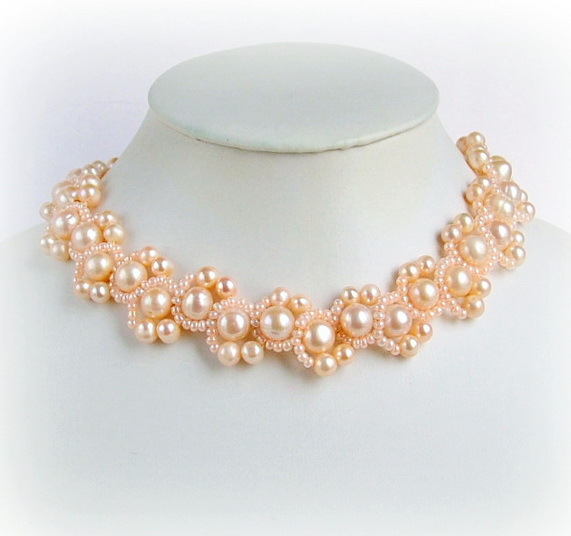 But when you reach the end of the necklace and cross the last 7 seed beads and pearl 8mm, u should string on one needle 4 seed beads and 4 seed beads and clasp on another needle and then join 2 threads with knot. U can hide one end of thread in the seed beads and continue to work with another end. Bead where 2 threads are crossed we will call the central bead. 2. Second raw begins from the clasp. 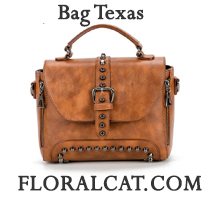 U can use same thread or add new. Go through next 9 seed beads from the clasp (how it shows on the pattern). String 2 pearls 4 mm and 3 seed beads and go through third seed bead from the central bead (i count central bead as one of those 3 beads). Go through next 4 seed beads. String 2 pearls 4 mm and 3 seed beads and go through third seed bead from the central bead. Go through next 4 seed beads. Repeat this until the end. 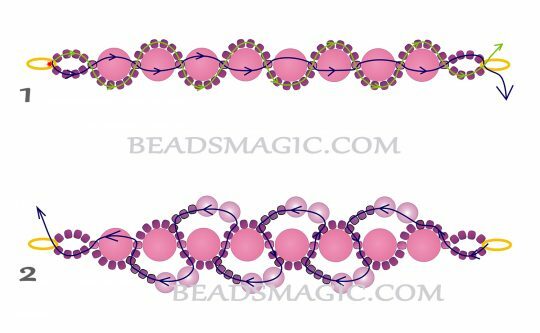 But when you reach the end of the necklace and string the last 2 pearls 4 mm and 3 seed beads , u should go through second bead from the central bead and then go through next 2 beads( thread goes out from central bead) , then through pearl 8 mm, central bead and next 4 beads, clasp. Peach necklace is lovely. I will make that. This is so absolutely beautiful. I just love making beaded necklaces, earrings and bracelets for my family and myself. This looks fabulous. Thank you so much. 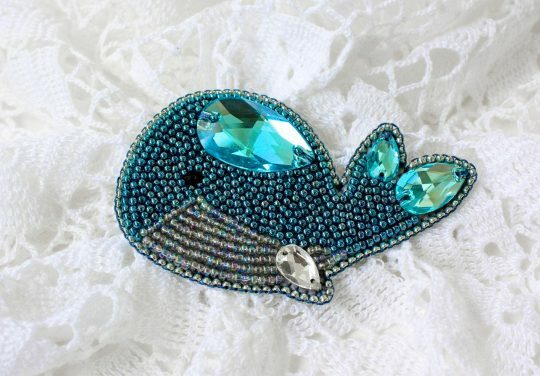 Very pretty, but the instructions are missing the quantity of each pearl & seed bead size needed. Can you give us a good guesstimate of each, if you don’t have exact numbers for a standard size necklace such as 16″ or 18″? Would really appreciate it, thank you. seed bead size is 11/0. its written in material list, u missed it)). about size of necklace. u can calculate yoursel. make little piece of pattern, for example 3 cm and count how many pearls is in this piece and then u can calculate quantity for 20 cm necklace. so 20 pearls in 20 cm. Is that a general example or valid for this particular project? I don’t like snowflakes go down on the picture. It’s really beautiful and I love the colour. Is there a number of sorts for that specific nuance? I’m looking at a diversity of webpages in Sweden but haven’t found that particular colour. I’ve just made the bracelet and there are several problems. 1) Seed beads are slightly different in size, thus Miyuki seed beads are just a wee bit smaller than Toho seed beads in the same size (here #11/0) For small projects it might not be an issue but I wonder if that’s not the case here. I increased the number of seed beads from three to four after the 4 mm’s and still there is thread showing. 2) It’s been very difficult to find a tension that work. It looks as if it’s too tight but at the same time thread is showing as if it’s too loose. It’s very frustrating. 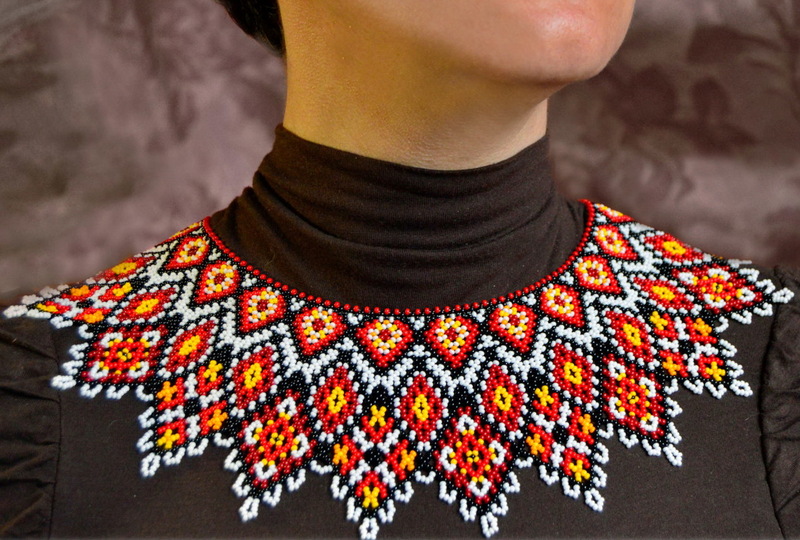 3) The photo, description and drawn pattern don’t seem to match concerning which seed beads around the center bead should be used in the second row. Other than that it’s a beautiful peace and I hope by fiddling a bit with it I’ll get it good enough to wear. 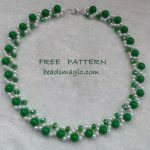 I’m not always that fond of designs using large pearls, but this one has a lovely shape and flow, and the color is delightful. This necklace is beautiful. I am thinking of making it in lavender. Good afternoon, I’m trying to do that bead (the one at the top) but i couldn’t get it. Please can you tell me the reason because it doesn’t ferm on the neck and the size of fishing line i can use for it.